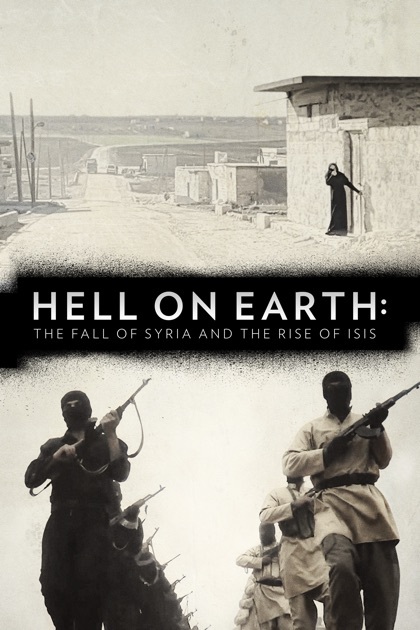 Hell on Earth is one of the myriad of documentaries released on the horrors in Syria. Last Men in Aleppo covered the final days of that tragic, besieged city, while Hell on Earth chronicled how we got to this sorry situation. It puts human faces on the horrors, building its case methodically, even if I don't agree with some of its comparisons. Narrated by co-director Sebastian Junger, he holds that Syria descended into the darkness due to radicalism. "Radicalism," he says, "depends on desperation. It depends on grievance. People will turn to radicalism once they've exhausted every other option". The film sees the Arab Spring not as a series of rebellions against autocratic dictators to gain freedom and democracy, but rather as anti-corruption movements. All the old order was being swept away: in Tunisia, in Libya, in Egypt, with their rulers falling. Then we come to Syria. 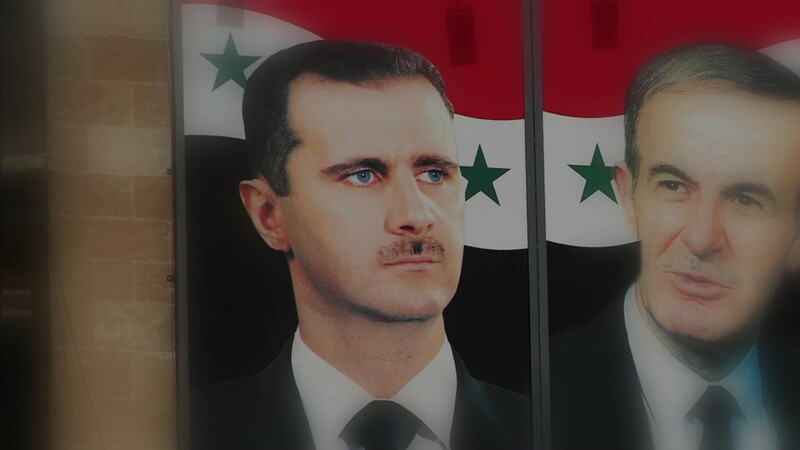 Bashar al-Assad, seeing his fellow rulers fall, was not going to go down. As Radwan, one of the two brothers who form a backbone to Hell on Earth tells it, the regime was determined to hold onto power even if it meant to absolute end of the country. Radwan was told by the pro-Assad forces, "It's Assad or we burn up the country". And burn it up Assad did: indiscriminately shooting at protesters, torturing them in prisons, and bombing them. It did not help that Assad was aided by a disorganized opposition, a West fearful of 'radicals' and 'terrorists', and Assad's mastery of manipulation. He freed the Islamists in order to let them fight his battles for him, with the bonus that they rather than the secular but disparate Free Syrian Army became the face of the revolution to the West. In something that Hell on Earth didn't touch on, there is a sad irony that the West opposed arming the rebels because the arms could fall into the hands of terrorist only to have ISIS armed by the West when they overran the Iraqi Army. The Syrian conflict soon became a proxy fight between various powers: Iran & their Hezbollah allies, their enemies the Saudis & their allies, the Russians, and soon the Americans. Each was using Syria for their own political needs, and eventually the Revolution descended into civil war. Assad found an unexpected and unwitting ally in former President Barack Obama, who declared a 'red line' should Syria use chemical attacks on its own people. Syrians met this declaration with a mixture of derision and anger: it suggested the U.S. would give Assad a free hand to use all other types of weapons. When Assad did use chemical weapons, it looked like the U.S. was about to strike, but Obama pulled back at the last minute (Hell on Earth reports that Saudi jets were literally on the runway ready to take off). With a weak and divided opposition and a West unwilling to commit more than words, Assad now had another tool at his disposal: ISIS. He used ISIS to his own advantage: so long as the West was held in fear with their savagery, no one paid Assad's savagery any mind. ISIS, or ISIL or Daesh to the Arab world, was beneath their faux-piety just a criminal enterprise. They extorted those under their domain with 'forgiveness cards': papers that allowed them to live for a price, various taxes that went to their coffers, and Mafia-like tactics. They killed all who opposed them, stringing them up, beheading them, and even putting others in cages. Eventually, ISIS made so many enemies that everyone started going after them, all but Assad, who didn't have to care now that he had a new patron: the Russians. Intercut through all this chronicle of a state in ruins is the story of Radwan and his brother Marwan, two men with their families who first fled Aleppo in the opening days of the siege, then after struggles managed to escape to Turkey. Some of the images in Hell on Earth are beyond sad: we see a woman screaming over and over again "Where are my kids?" after a bombing by Assad's forces. Hearing the children of Marwan cry at another bombing raid tears at you. The sight of jihadis in training, with their slick recruitment videos, chills you. Hell on Earth held back in showing some of the absolute worst of their inhumanity: the throwing of suspected gay men off tall buildings, the actual beheaded men, the mass graves. Hell on Earth also seems to peter out by the end, as if it began to lose focus and started just rambling. The subtitle The Fall of Syria and the Rise of ISIS is not misleading: the documentary covers the rise of ISIS as soon as it finishes covering the fall of Syria, or at least at a certain point it shifts from one to the other. This shift from one to the other flowed relatively well. Other parts did not. For example, Hell on Earth maintains that as author Robin Yassin Kassab theorizes, displays of public violence are par for the course in all societies. He points to how the British hung, drew and quartered prisoners, the French stripped and shaved women who had slept with Germans after World War II, and how in the United States, people would go and pose with victims of lynching. My disagreement here is that this is not the same as what ISIS is doing. The French and American crimes were not, as far as I know, state-run, state-organized, or state-sanctioned. They were cruel, savage, but not a deliberate and thought-out manner of behavior by the government. Moreover, there were many people who openly objected and worked against these acts, whereas there was no recourse for anyone opposing ISIS. Moreover, Junger and his co-director Nick Quested could not resist taking a few jabs at the United States, all but holding that the Americans are no better, perhaps if not worse, than ISIS. They mention how the United States has killed more people than ISIS and how the Iraq Invasion brought about the radicalism that begat ISIS. This comes from the film's viewpoint that 'radicalism depends on desperation and grievance'. Somehow, I'm not convinced of that. If that were the case, all nations would be in the throes of perpetual armed revolutions and insurrections given that there is almost always a group that is desperate and grieved. I also am not convinced that the ISIS nasheeds (the a cappella hymns celebrating their evil) are the equivalent or similar in being to national anthems such as France's La Marseilles (The Star-Spangled Banner isn't mentioned, but one can expect that the notions of war and bloodlust found in ISIS chants can be extended to the American national anthem). If Hell on Earth wants to make a case that celebrating death in song or action is something all nations are capable of, that case can be made. However, if the case is being made or suggested that ISIS and America are the same in moral equivalency, something just doesn't sit right with me on that. The film also gives scant coverage to the Kurdish Peshmerga, the fighting force that includes women (as one female Peshmerga offers, 'No difference between men and women in Kurdish uniforms). The story of Radwan and Marwan gets hit on from time, but whether it was a way to 'put a human face' on the nexus of misery and tragedy in Syria or not I don't know. A whole film about them can and perhaps should be made. Hell on Earth has some strong insight and gripping imagery to it. However, after a while it seems to lose itself and not hold itself together as well as it could have. There is, late in the film, mention of a native-born French Muslim named Mohammed Merah, who killed French soldiers in his hometown as well as other people until he himself was killed. It seemed to come out of nowhere and almost irrelevant to what had gone before. Not completely irrelevant, but close. Still, it is worth seeing to get a primer on how the Syrian situation has degraded into a true hell on Earth.